When you think of Mississippi, what comes to mind? For us at Fairview Inn, we think of the intricate past, historic sites, and beautiful architecture that tell the story of our Southern state. If you want to learn more about our compelling history, plan your visit to the Natchez National Historical Park. Whether you are a scholar or just want to learn something fascinating about our culture, a tour of the well-preserved estates and stunning green spaces of this spectacular site will be a great addition to your getaway. Before planning your trip to the Natchez National Historical Park, request a copy of our free Vacation Guide to Mississippi! 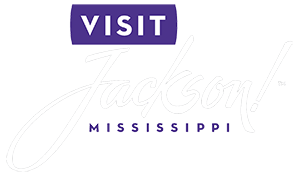 You’ll find our recommendations for the best area attractions, remarkable day trips from Jackson, and tremendous historic sites. Our guide also showcases the relaxing retreats and luxurious amenities at Fairview Inn! When you stay with us, you’ll be close to many Natchez points of interest like the Natchez National Historical Park. Read over our local insights and find out everything you’ll experience while you are there! Constructed in 1845, the Melrose Estate preserves the Antebellum South through its traditional Colonial-style. One of the most well-preserved landmarks in Natchez, this marvelous mansion is open year round and allows its visitors to learn about the interesting history woven into the fabric of our state. Before you tour this stately home, bring cash with you to pay for the 45-minute experience, and you can purchase your tickets at the on-site Visitor Center building! The William Johnson House is situated in downtown Natchez. In conjunction with the adjoining McCallum House, the complex honors William Johnson, “the Barber of Natchez.” As you walk around this establishment, you’ll learn about the life and heritage of free African Americans in the pre-Civil War South. One of the prized exhibits is the diary of William Johnson, an autobiographical work detailing his life from 1835-1851. If you want to learn more, plan your tour today! In 1716, the French constructed Fort Rosalie on the Natchez bluffs of the Mississippi River. As you walk around this historic site, you’ll see a beautiful green lawn, a large gazebo, and a plaque commemorating where the former tobacco warehouse of the Rosalie Mansion once stood. Also located on the Natchez bluff, you can explore this magnificent home. Constructed in 1823, this Southern mansion boasts Antebellum architecture and a myriad of period antiques. You can also meander through the blooming garden filled with rich hues and bright colors. After you experience the Natchez National Historical Park, make the 2-hour drive back to Fairview Inn! Our beautifully restored boutique hotel was constructed in 1908 and showcases a beautiful exterior lined with modified Corinthian columns. And, our carriage house features the Colonial Revival style associated with the formality and elegance of Southern tradition. Both of our relaxing retreats house our 18 unique accommodations. We invite you to browse our selection of renovated guest rooms and reserve the ideal one for your getaway. As you search, consider booking our Executive Suite. This luxurious hideaway features comfortable amenities like plush bathrobes and exudes an inviting atmosphere. Whether you want to relax together in the queen bed or in the spa-like oasis, you’re sure to feel reconnect to your significant other. And, you’ll be treated to a complimentary gourmet breakfast complete with Southern-inspired flavors and delicious coffee. Plan your next trip to the Deep South with us this year!